Circle of Blood (sounds like a Slayer song) will be making its way to the English-speaking world. Currently, those who speak Spanish are able to enjoy it, but Last bullet Games wants to expand out their audience. The game is a fantasy skirmish game with some rpg elements to it. Players can compete against one-another, or play against the AI. 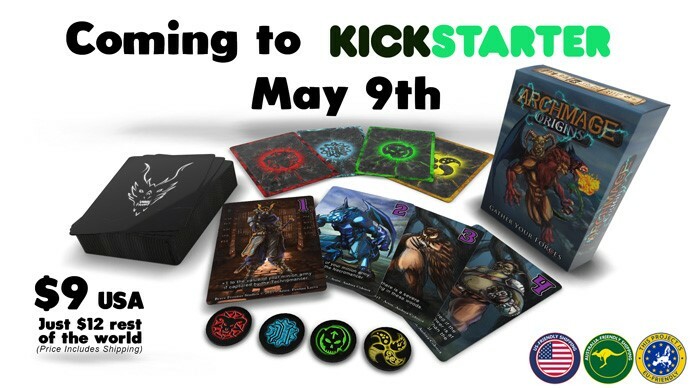 Last Bullet Games continues to post previews of the upcoming Kickstarter campaign. The week continues on. We'll eventually be getting back to the weekend. Just another couple days. In the meantime, we need to keep our energy up. To do that, we should nosh on some bite-sized gaming stories. Today on the platter we have: Tikki Trolls Metal Minis Up On Kickstarter, June Releases Available From Terrible Kids Stuff, Acheson adds 28mm Pewter Hyenas, Bharata Playing Cards Up On Kickstarter, Multitude Game Set Coming to Kickstarter, York Gaming is launching a Kickstarter Campaign for 1492 - The Rite of Passage next Friday, Circle of Blood Teases Kickstarter Starter Box, New Legionary Heat-Ray From Kromlech, Tokens of Friendship Available For Tails of Equestria RPG, New Van Diemen's World Devils Squads Now Available From Victoria Miniatures, New Bases and Accessories Sale From Micro Art Studio, GOT 28mm Kabardin APCs Available From Antenociti's Workshop, Skyline Chess - New York City Edition Up On Kickstarter, and Khurasan releases Caveman headhunters and rhino riders. Well, it's Friday again. Woo! I hope your week went by as quickly as mine did. Being busy after a long weekend will do that. And this weekend looks to be really busy as well. Lots of projects just showed up at the door that I will be dealing with on Sunday as well as into next week. Considering what I'm working on, that's very much not a complaint. But if I'm going to be doing all of that, I need to be well-fed. So I'm gonna nosh on some bite-sized gaming stories, and you should, too. Today on the platter we have: New Promo Releases From NonsenseMiniatures, Ouroboros Miniatures Fey Kickstarter is live, Archmage Origins Coming To Kickstarter, Greebo Games Limited Edition Easter Minis Up On Kickstarter, New Chickens and Rooster Set Available From Tabletop-Art, New Preview for Circle of Blood by Last Bullet Games, and New Release Available From Hitech Miniatures. Friday is once again upon us. Gateway to the weekend. So many possibilities. I'm as busy as a one-armed paper hanger. Making all sorts of things in prep for tomorrow's MST3K binge party. I hate to go to a gathering empty-handed, so I'm making brownies, cookies, and prepping stuff so I can make nachos and Swedish meatballs while there. Like I said, hate to be empty-handed. But while I'm making those bite-sized treats, let's nosh on some bite-sized gaming stories. 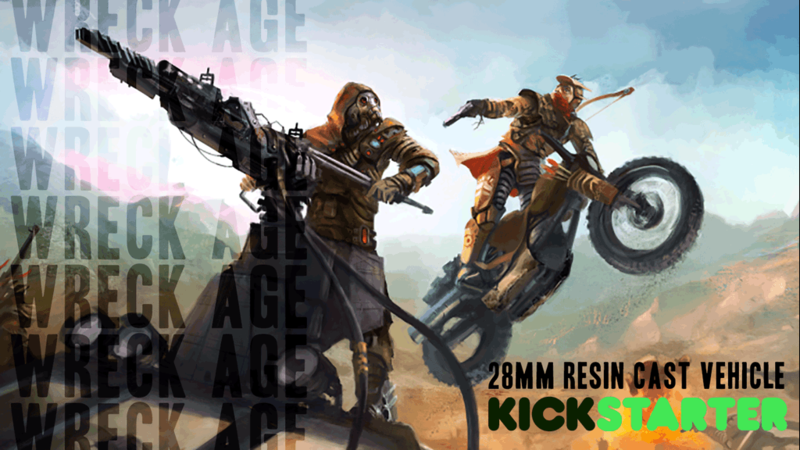 Today on the platter we have: Two New Tank Turrets Available From Ramshackle Games, Tor Gaming Announces Their Affiliate Program, Circle of Blood from Last Bullet Games Coming To Kickstarter, Path of Light and Shadow Coming To Kickstarter, Final Days for Wreck Age Kickstarter, and Fluff Preview Posted For The Drowned Earth.